If there is one book you should purchase for your kid, this is it. 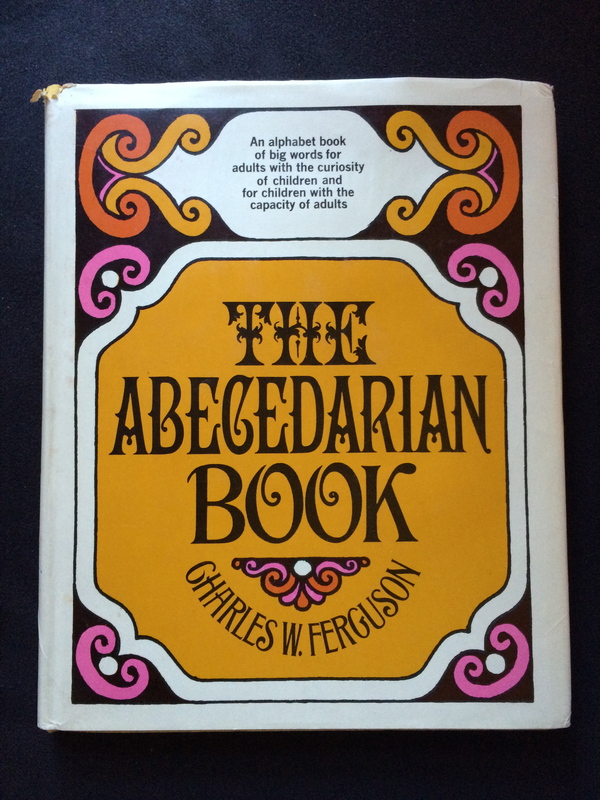 The Abecedarian Book by Charles W. Ferguson is the most interesting children’s book I’ve come across to date. 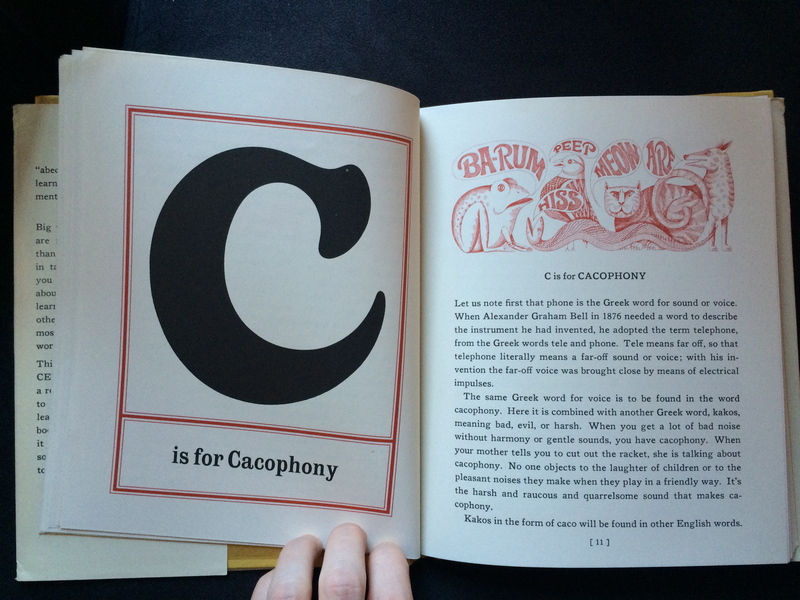 Simply put, this book teaches big words, letter by letter, and their etymology in a memorable way. Big words make nice noises. There are more sounds in hippopotamus than in cat, more in allegory than in tale. If you learn a small word you learn a small word and that is about all there is to it. But if you learn a big word you learn a dozen other words along with it because most big words are related to other words. This is the reason for The Abecedarian Book. Abecedarian is a real word three hundred years old to describe a person who is either learning or teaching the ABC’s. The book is made up of big words and it is to be read aloud, so that all the sounds of the big words become clear to the ear. 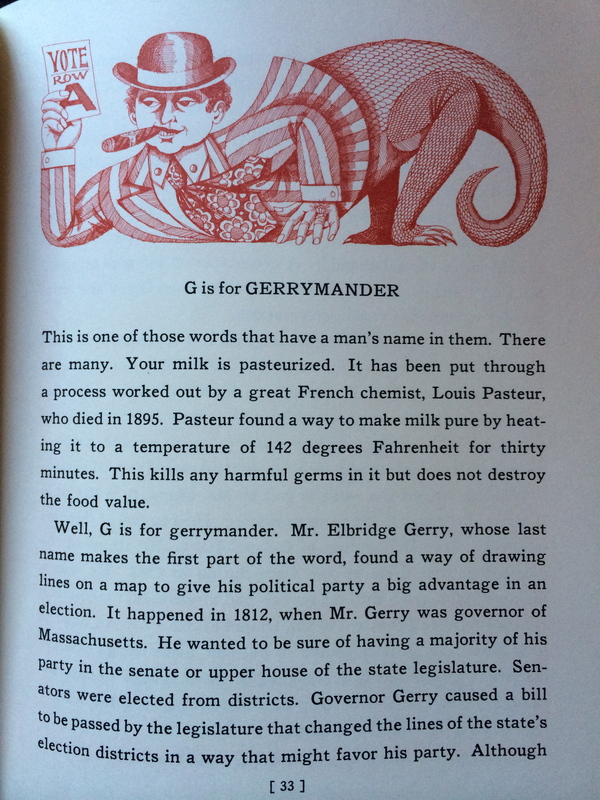 And it is exceptionally entertaining to read aloud! At five months, Faye is captivated by these spoken words much more so than the children’s books that contain one word or slim sentence per page. Plus, the illustrations are incredible and intricate. I have no doubt The Abecedarian Book will be one of Faye’s favorite books as she grows. It is currently out of print, but there are definitely copies to be had. Do a google search (and yourself a favor) and purchase one.